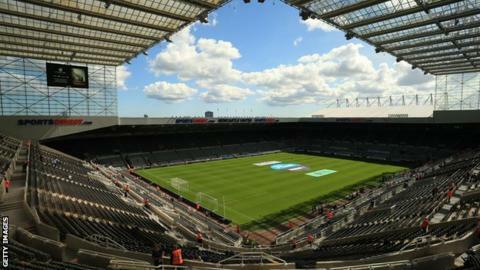 Newcastle United are in talks "with new and credible parties" after Mike Ashley put the Premier League club up for sale, according to his lawyer. Ashley said on Monday that he wanted to sell the club after 10 years in charge. It is reported that Amanda Staveley, a potential buyer, has signed a non-disclosure agreement with the Magpies. "Since Monday, a number of additional parties have come forward which we believe to be credible," said Andrew Henderson, Ashley's lawyer. "We are continuing to engage in conversation with a number of parties with whom we were engaged in negotiations prior to Monday's announcement." Staveley, 44, heads financial advisory firm PCP Capital Partners. She helped broker the purchase of Manchester City by Sheikh Mansour bin-Zayed bin Sultan Al Nahyan in 2009 and it was reported she led Dubai International Capital's £400m bid for Liverpool in 2008. She met Newcastle United officials after attending the 1-1 Premier League draw with Liverpool at St James' Park on 1 October. On Wednesday, Turkey's richest man Murat Ulker, denied he was interested in buying the Magpies.